With the built-in mic, Siri/Google Assistant is just a touch away, giving you a genuine hands-free, wireless stereo experience. The enhanced battery of the wireless earbud allows up to 3 hours of talk time and up to 2 hours of music playback. 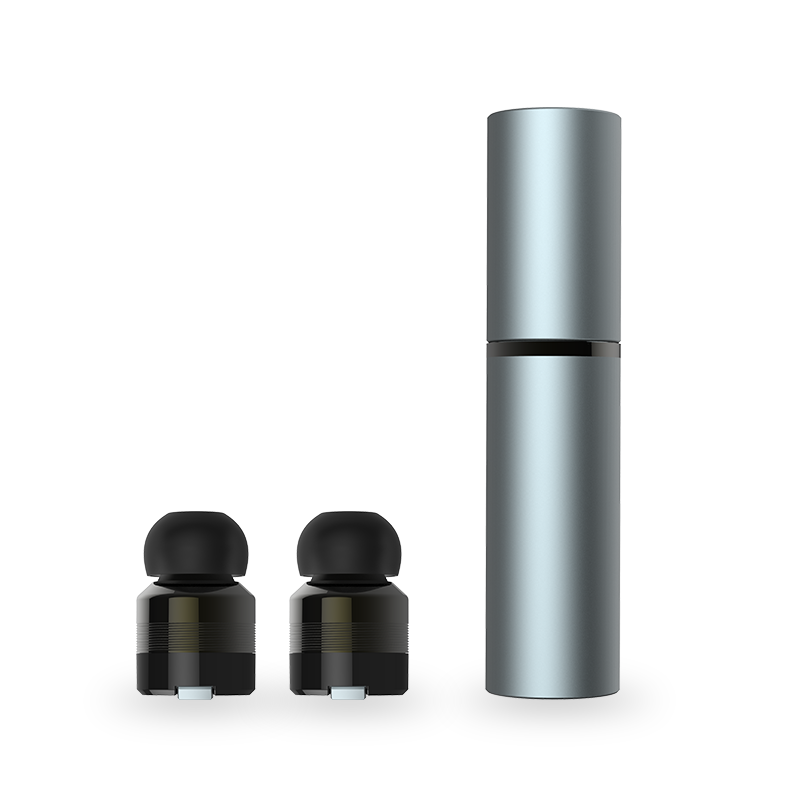 Our super small earbuds combined with the sleek lipstick style container fits right into your pocket. WaterSafe nano coating technology makes your Rowkin Mini Plus+ sweat-proof, water resistant and IPX5 compliant. It is perfect for sport, outdoor, and gym activities. 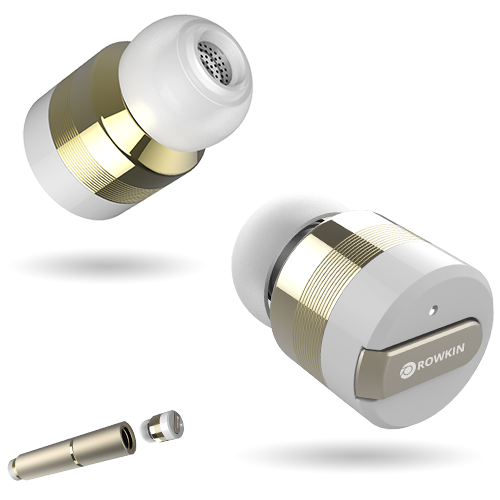 You can purchase the Rowkin Bit Stereo in three modern colors: space grey, silver, and a special 24K gold-plated edition. 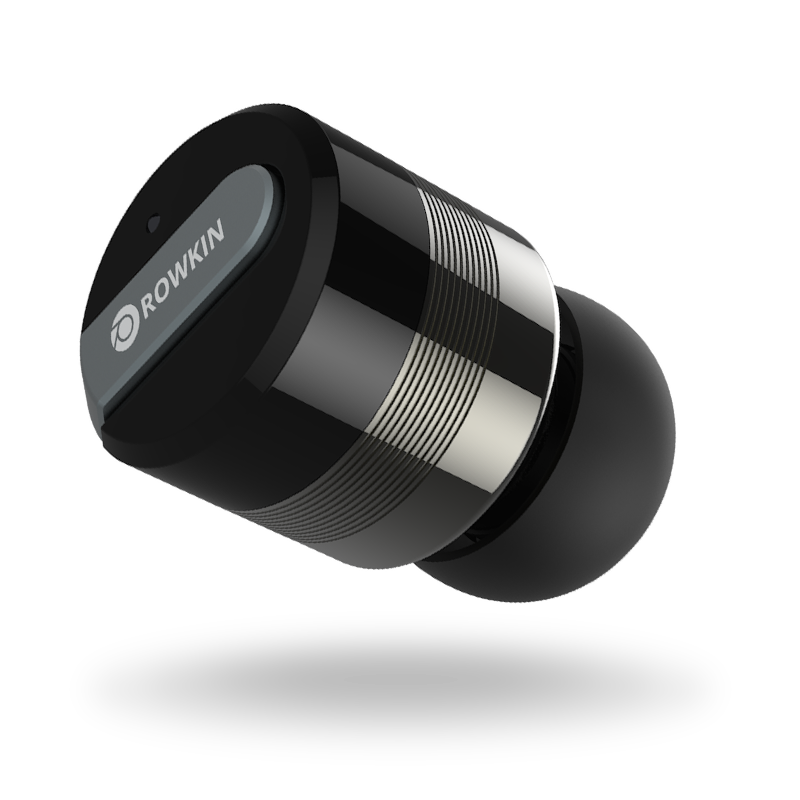 With the Rowkin Bit Stereo's unique patented conductive portable charging system, you can charge both wireless earbuds 2x and get up to 3 hours of music/talktime. "I’ve tried the top end wireless earbuds from Bose, Beats, Bragi, and several others. These are by far the best, in my opinion." "The headphones themselves are terrific. I highly recommend them. I recently traveled with them and they do an amazing job of blocking ambient noise." "Best fitting truly wireless earbuds I've purchased to date...have tried 3 other brands...by far best signal and connectivity of the group."